Here’s yet another brilliant infographic from Flip Flop Fly Ball, this one documenting the last player from each baseball team to wear Jackie Robinson’s uniform number, #42, which was retired league-wide in 1997. 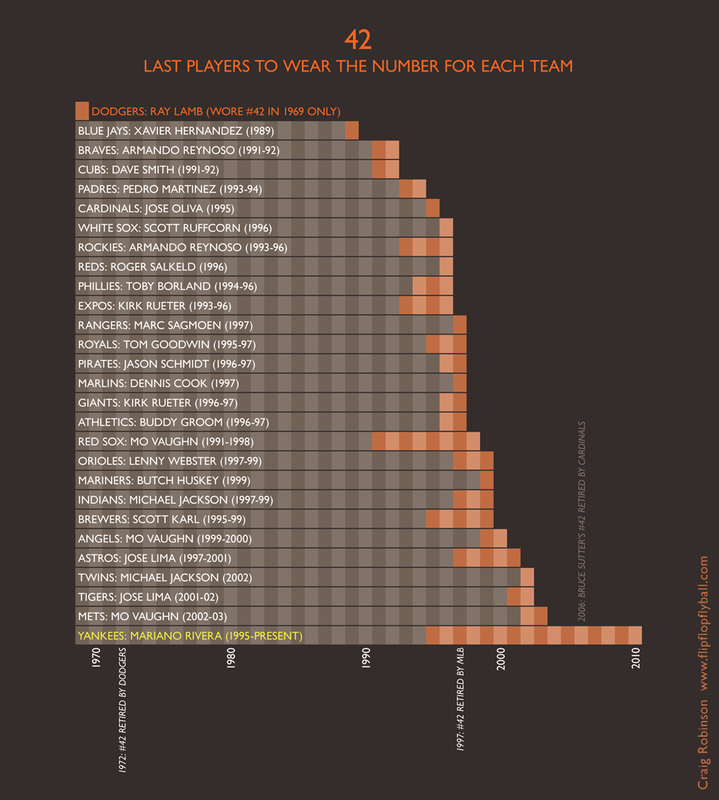 Twelve players were allowed to continue to wear the number “per a grandfather clause,” and, as indicated by the final name on the graph, only one of the twelve remain in the league thirteen years later. However, it is fitting that the one player who still wears #42 to this day (and who will be the last player to ever wear #42) is Mariano Rivera, the Yankees legendary relief pitcher, who will almost undoubtedly go down as the greatest closer of all time.